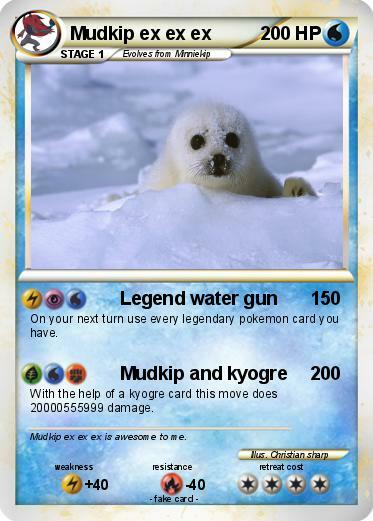 On your next turn use every legendary pokemon card you have. With the help of a kyogre card this move does 20000555999 damage. Comments : Mudkip ex ex ex is awesome to me.